The Association Slovenian Travel Press awarded the Slovenian Beekeeper`s Association and its President Boštjan Noč with a Crystal Triglav 2018 for outstanding achievements in the Slovenian tourism. 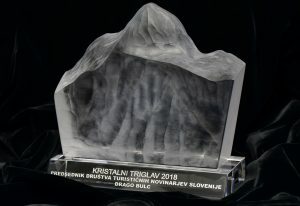 All organizers of the Days of Slovenian tourism, the most important business event of Slovenian tourism, that was held in Portorož last week, awarded Drago Bulc, eminent Slovenian travel journalist and President of the Association Slovenian Travel Press with a Crystal Triglav as the most outstanding personality of the year in the field of Slovenian tourism. 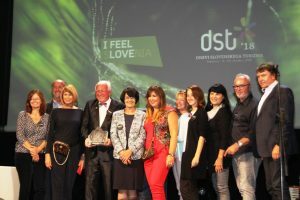 The Association Slovenian Travel Press has presented the award Crystal Triglav annually as an acknowledgement of outstanding achievements in Slovenian tourism since 2011. 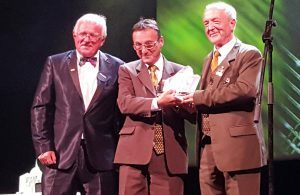 The award was presented to the Slovenian Beekeepers’ Association by Drago Bulc, President of the Association during the Days of Slovenian tourism. 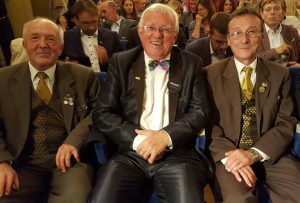 Members of Slovenian Travel Press acknowledged the Slovenian Beekeepers’ Association for significant contribution to Slovenian tourism and its promotion. It has initiated several projects, including the introduction of selected authentic beekeeping souvenirs and products, introduction of thematic beekeeping trails along the painted beehive panels, introduction of the Honey Breakfast in schools and beekeeping school clubs. The Association is promoting nectar-bearing plants. Slovenian beekeepers have enhanced the beekeeping tradition with api-tourism. In the year 2014 the Slovenian Beekeepers’ Association launched the initiative to declare World Bee Day and on December 20th last year the United Nations General Assembly adopted by consensus a resolution declaring 20 May as World Bee Day. About this important achievement reported all major world media, putting Slovenia in the noblest way on worlds map. 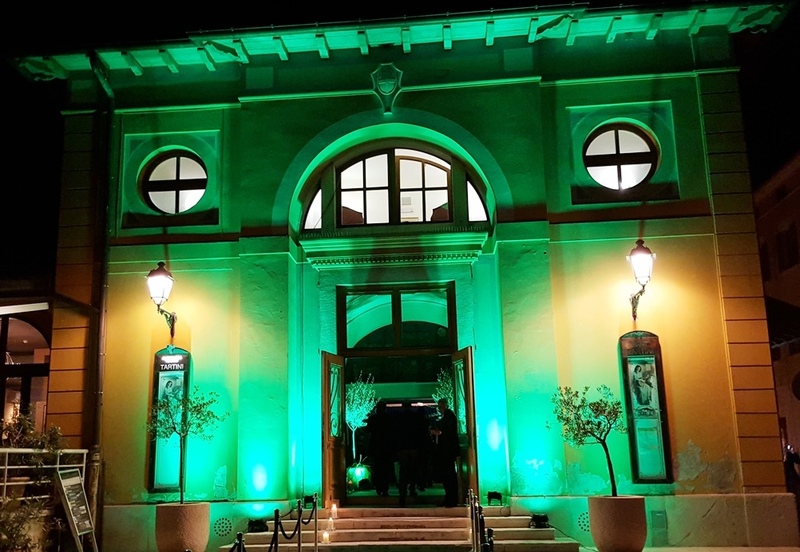 At the same time this is the best promotion for Slovenia, the world`s first green country by Green Destinations international standards and a recipient of the National Geographic World Legacy Award. Drago Bulc is a prominent travel journalist and editor as well as President of the Association Travel Press Slovenia, who has devoted to tourism not only his professional career but also his life. 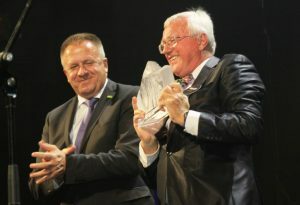 In his more than four decades long professional career as journalist and editor at Slovenian National Radio and Television his name has been most closely connected with numerous radio and TV programmes such as »Traveller’s bag”, evaluation of quality of Slovenian Ski resorts “Golden Snowflake”, “Touristic Carnation and Touristic Cactus”, “Homo Turisticus”and others. His movie “The biggest floating place of amusement in the world” was awarded the Grand Prix at the International Festival of Tourist Film in Solun in the Year 2010.